Delicious vegan / vegetarian braised gluten tidbits, bits of sausage, chunks of tofu, and assorted vegetables in sauce. Simply heat and serve this flavorful assortment over rice or noodles. 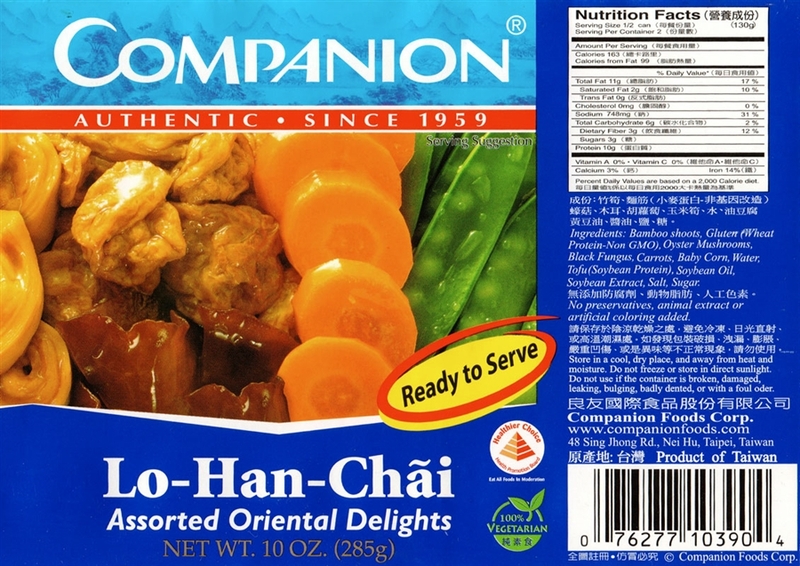 Companion vegan / vegetarian assorted Oriental delights contains no preservatives, no animal extract, and no artificial coloring. Made of wheat gluten and soy protein. Each 10 oz. can contains about 2 servings of vegan / vegetarian assorted Oriental delights. Imported from Taiwan.